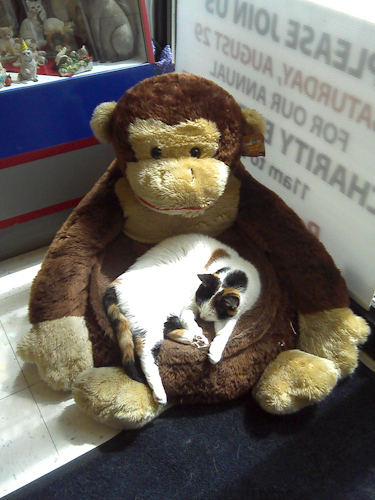 Lazy afternoon at the pet shop. Ah, to be a cat. Love that cat bed. I love it too. I happened into a new pet store last summer, saw the cat flaked out and thought it was adorable, so I took a picture with my phone camera. I’d actually forgotten about the picture until I was sorting photos last week; I’m glad I found it.